I was thrilled to find American Uprising on the New York Times bestseller list. Thank you to everyone who has bought the book – I’m really thrilled that the story is catching on. Hello. I found out about your book, and the writing contest promoting it, through a post at the http://www.outsiderwriters.org website. I commented there that Outsider Writers was a curious place to send info, given that your standing and opportunity are far different from that faced by every one of OW’s members. Beyond this, I’m curious about the seeming disconnect about your own privileged station, your elite education, your easy path to success, and the theme of revolt you’re promoting. For writers to give you the “total and complete revolt” you ask for, wouldn’t they have to revolt against you? Do you have a comment about this? Unlike Karl Wenclas, above me in the comment section, I’ve actually purchased and read the book and I find it extraordinary. I’m writing a book report on it for school and I am currently planning a trip to New Orleans to take a tour of the plantation house on the German Coast and to speak with Leon Walters. Congratz on being on the NYT top sellers list. It’s amazing that someone our age can unearth and go into detail on a subject that has been suppressed so long in American history! You inspire me as an undergraduate former music major, current history major and I can’t wait to write a book after graduation. I have yet to read the book but I did watch the author speaking from the Garden District Book Club in the wee hours last night. I found it a very coherent and powerful presentation and I will be buying the book very soon. I was struck by the narrative in context, the timeline from Santo Domingo to this incident, and also by how beautifully the slaves of the era were able to articulate their ambitions. 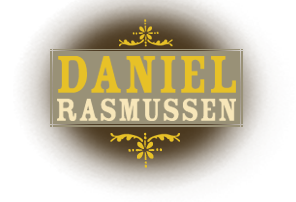 I very much appreciate the work of Mr. Rasmussen and I will look forward to his next ventures. There is so much from this period that was commonplace at the time and exceptional in retrospect.